Although I'm obviously still sad about leaving CCJS, my attention now turns to the next incredibly exciting chapter in my teaching career. 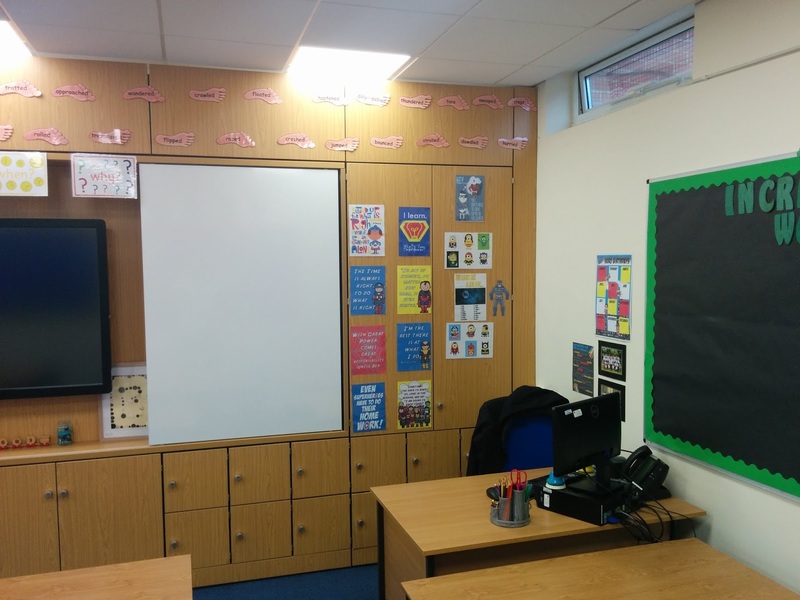 I thought I'd share my new classroom space with you all after a similar post, New Year, New Classroom, was so popular and is still attracting views today! 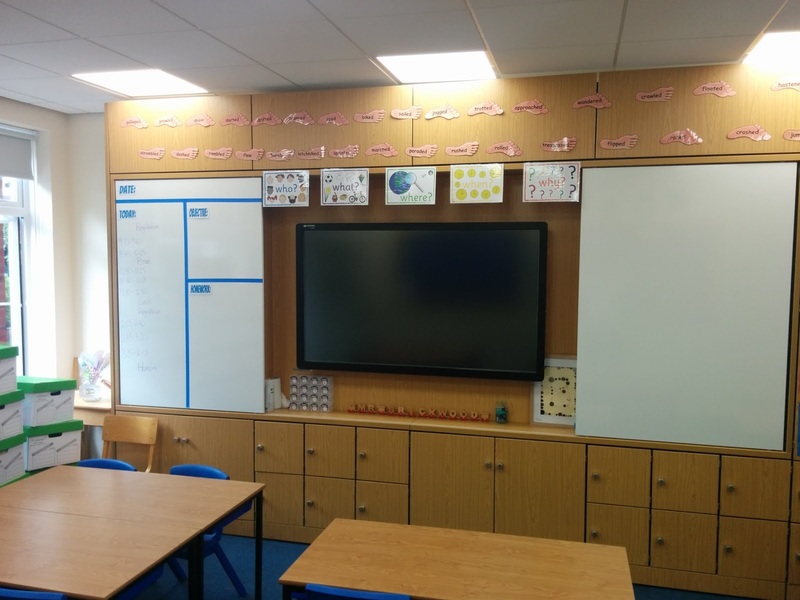 With the change of school also comes smaller classes (16 pupils) which in turn means I have slightly less room than previous years. However, I'm fortunate that it was only refurbished recently and is designed very well. The other big change is that I am now teaching in a boys' school. This prompted me to focus on a theme that I was confident the vast majority would appreciate. After much deliberation, the decision was to go with SUPERHEROES. 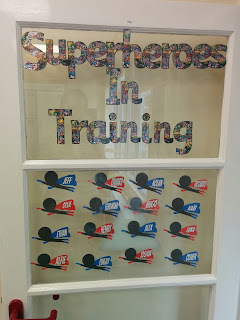 I saw lots of door designs on Pinterest for superheroes but I particularly liked the phrase "Superheroes in training" so I decided to match this up with some cute cut-outs of superhero silhouettes, each with a name of one of my pupils. 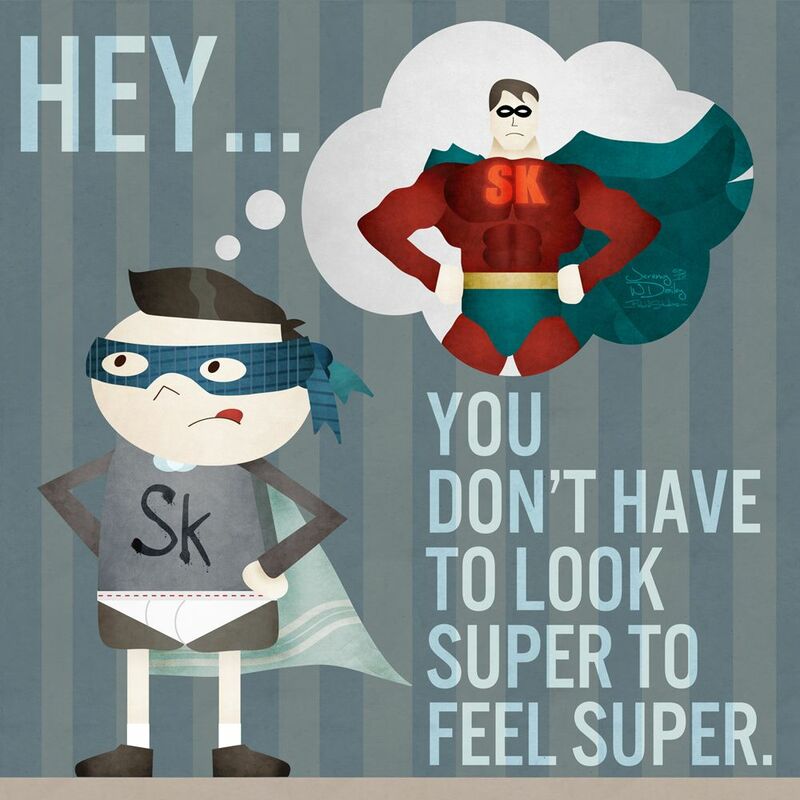 The superhero comic font was free from here and the free templates for the hero cut-outs can be downloaded from here. My relentless searching online for superhero classroom resources quickly brought me to a range of amazing American websites where teachers had created every kind of resource in every kind of theme. 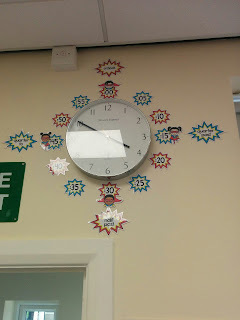 One thing I particularly liked was the Superhero Clock Labels by PinkCat Studio. 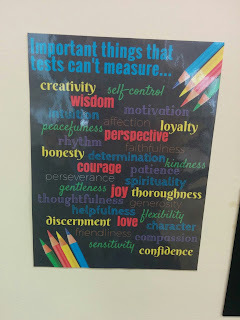 I think they fit into the classroom well and will be a really useful prompt for the class. Away from superheroes, I came across these birthday balloon free downloadable signs. I picked up some crazy straws and stuck on the signs. They sit in the corner by the window and will be a nice and quick birthday present for them as well as looking good all year round! These are two signs that I have up on the wall that will probably follow me into every classroom that I will ever teach in. The first is an excellent talking point on the first day about what it actually means. 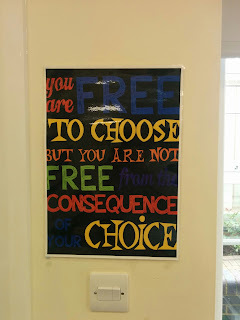 Eventually, the children are able to say that they can choose to do what they want (within limits, obviously!) 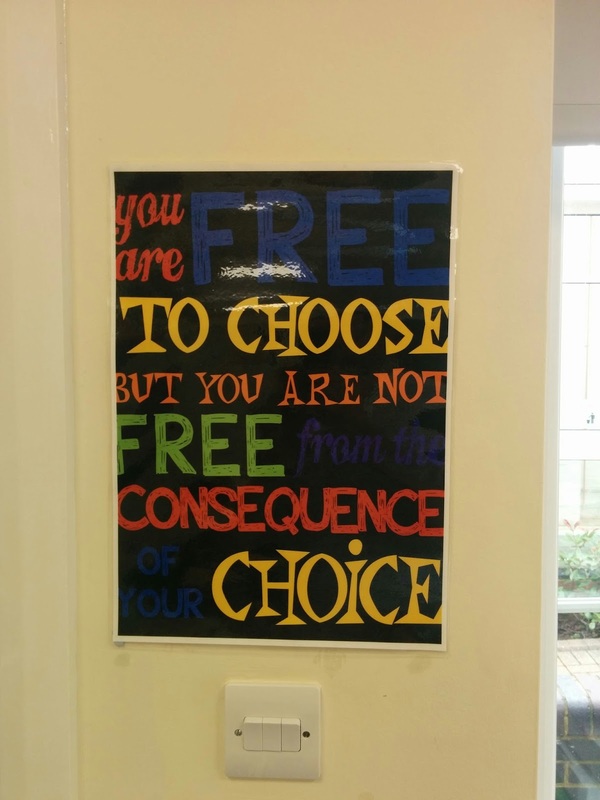 but they must then face consequences for these choices whether good or bad. 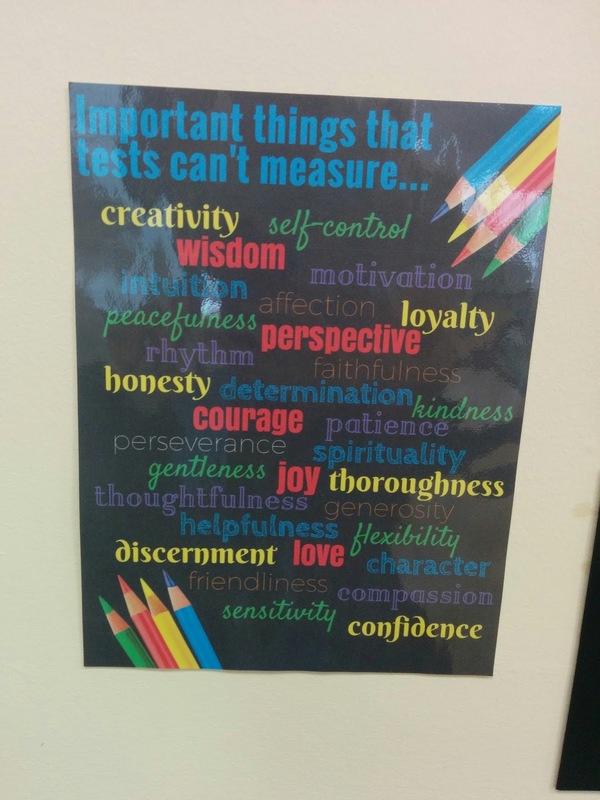 The second poster is a wonderful reminder that tests (as important as they are) do not test a huge range of qualities that the children will have in abundance. 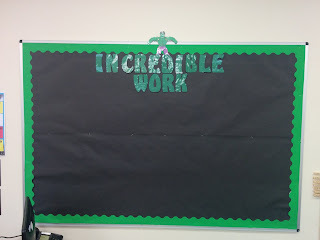 Now, over to my bulletin boards! There were some absolutely brilliant boards with a superhero theme online but I took a more simplistic approach whilst hopefully still creating a good effect. 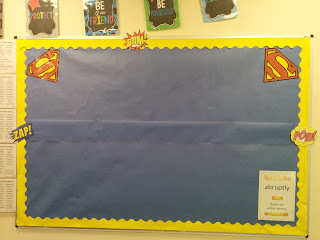 First up is my 'Superman' board which will be for writing. I forgot to make the 'Super Writing' lettering which will be the heading in red and yellow. I've kept a space for Word of the Week and I'm sure there will be lots more going on after the first few days of September. I created the Word of the Week pages and I think there are about 36 of them altogether, each with a definition and example of it being used in a sentence. Next to this board is also my 'Criminal Words' which fit very nicely into the theme. 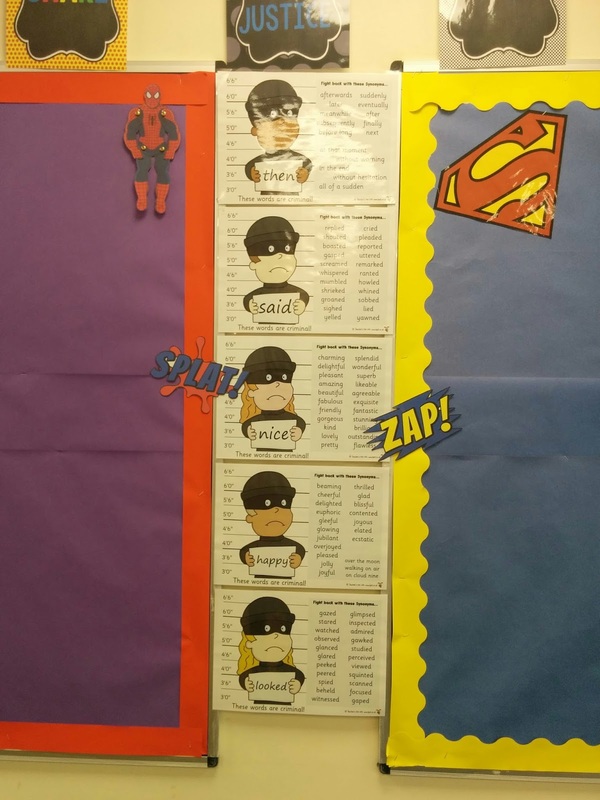 I'll be telling the children to defeat these villains by using all sorts of excellent synonyms. The criminal sheets were found on tpet.co.uk. 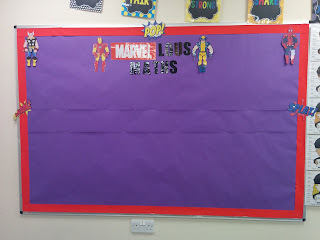 Next up is going to be my maths board, titled "MARVEL-lous Maths." I'll be putting up all sorts of vocabulary and number grids/facts. 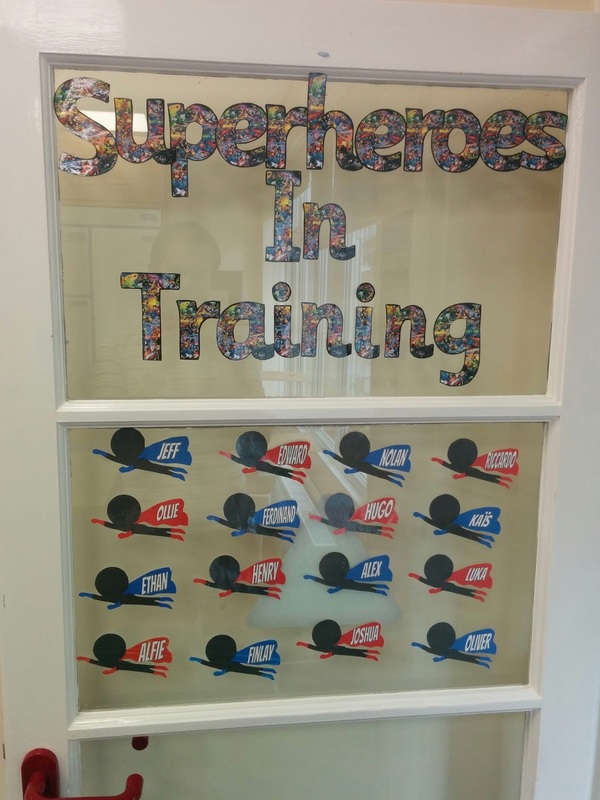 The movable superhero cut-outs were downloaded for free from MGulin. The last board is going to be used for our topic work. 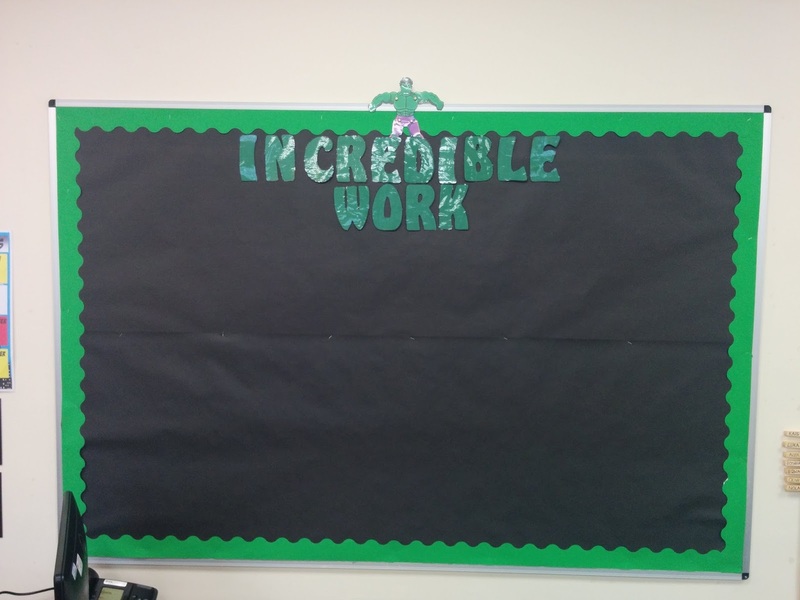 I went for a Hulk theme and opted for 'Incredible Work' as the title. I'll probably end up hot-gluing pins onto pegs so that work can be easily displayed without ruining the backing paper. 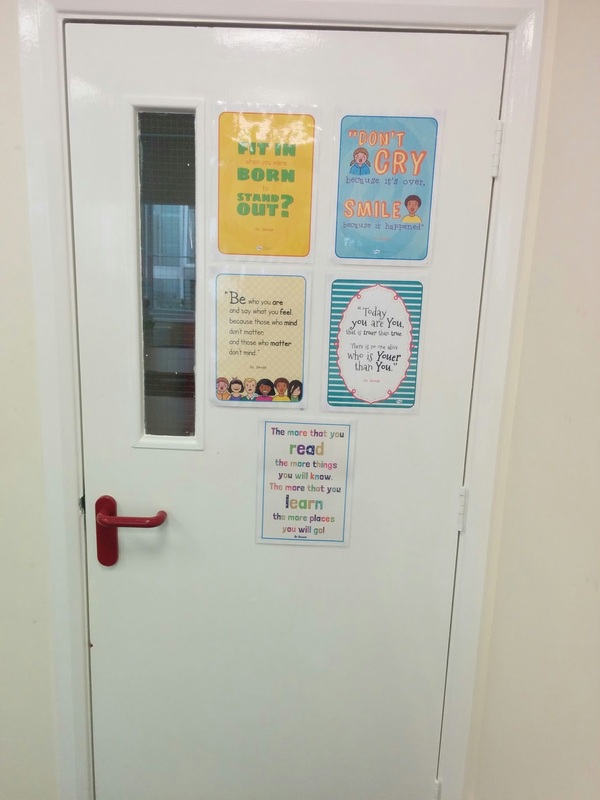 In the corner of my room there's a different door that opens up to the hangers and the adjoining classroom. I thought this would make a good canvas for a few signs that have followed me from CCJS again. They are all quotes from Dr.Seuss books that the children will hopefully find inspirational/motivational. 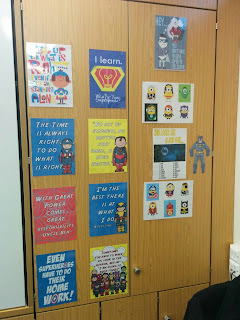 This corner has a range of inspirational superhero quotes and messages (plus pictures of Superhero Minions just because,,,)The bright and colourful quotes can be downloaded for free here. The other messages can be found here, here and here. 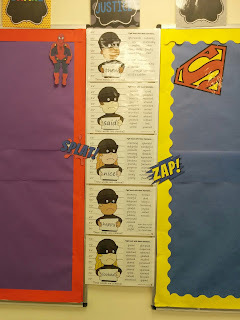 Next to the Batman cut-out is my 'This Looks Like A Job For...' page which is part of my new behaviour system which I'll discuss in more detail shortly. On the other side of my table is this excellent Superhero Birthday sheet. On the first day of the year, I'll try to get small pictures of the children wearing a superhero mask and holding the number of the day they were born. 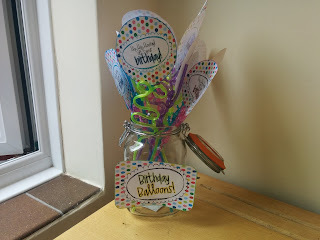 These can then be stuck onto the birthday chart. Of course, my two class photos from CCJS will also be by my side! Now to the front of my classroom with the whiteboards and screen. Above the screen are lots of cut-out feet with synonyms for 'went' and some 'Who? What? Where? When? Why?' 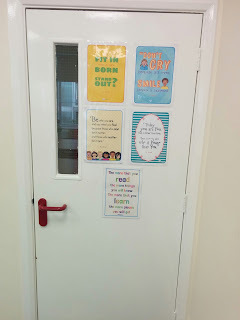 signs to help with their writing. 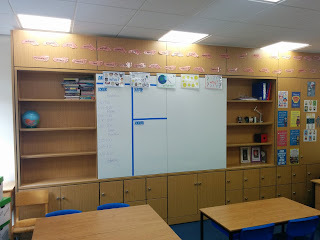 I plan on keeping the board on the right-hand side free for jotting in lessons. 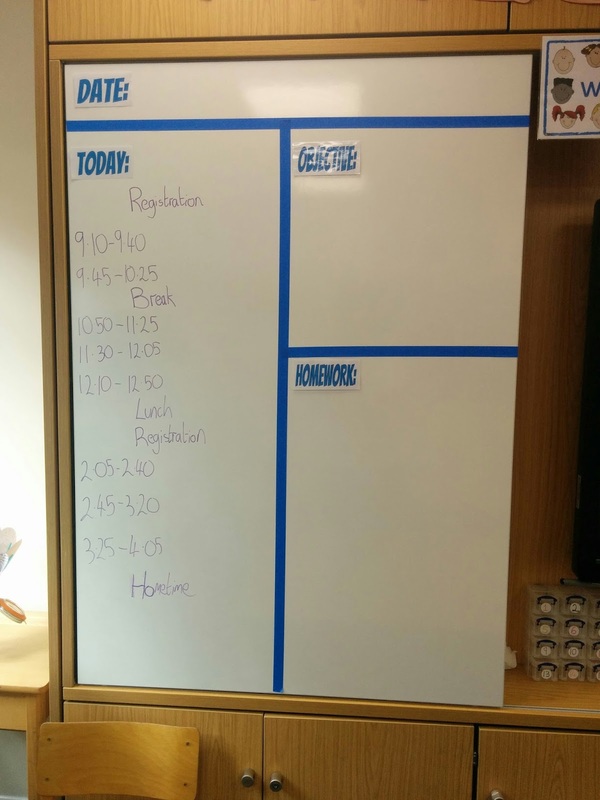 The board on the left will be the organised board with clear sections. 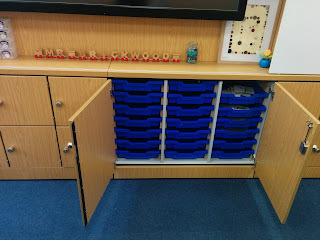 Underneath the boards at the front is even more storage with trays that will be used as daily folders and homework collection points etc. I've not labelled them yet but use your imagination! 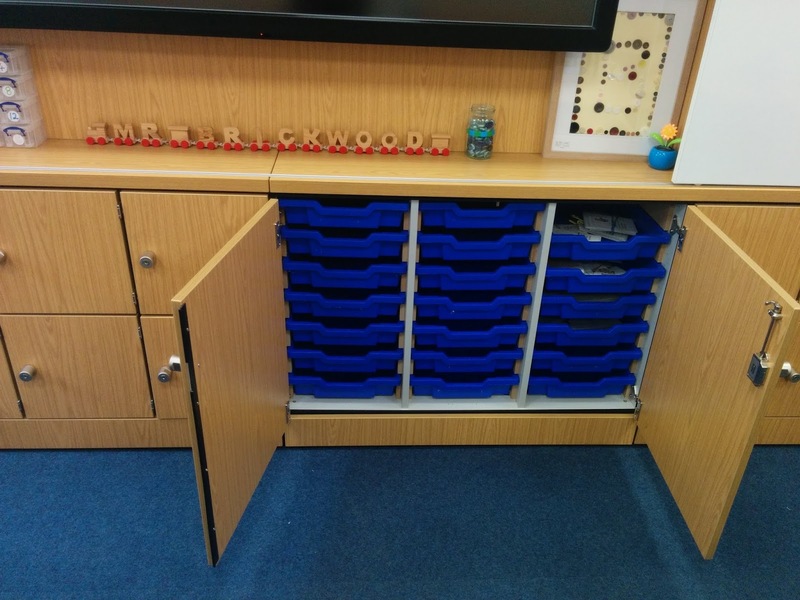 The children have their own personal tray underneath their desks and they also each have their own individual locker at the front. From the picture above, you can also see that my '"Mr Brickwood" train bought for me as a gift from friends has followed me here. There are also a couple of lovely gifts from children from CCJS. There are still many more bits of art and gifts from children that I intend to take in but the car was full! The tokens go into a bag for the week. Whenever I need a job completed or am choosing someone to lead the class to assembly etc, I will draw a token from the bag. Therefore, the more tokens you earn, the more chances you have of being rewarded. 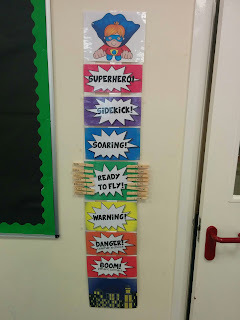 In addition to this, I also have a superhero behaviour chart that can be found here. 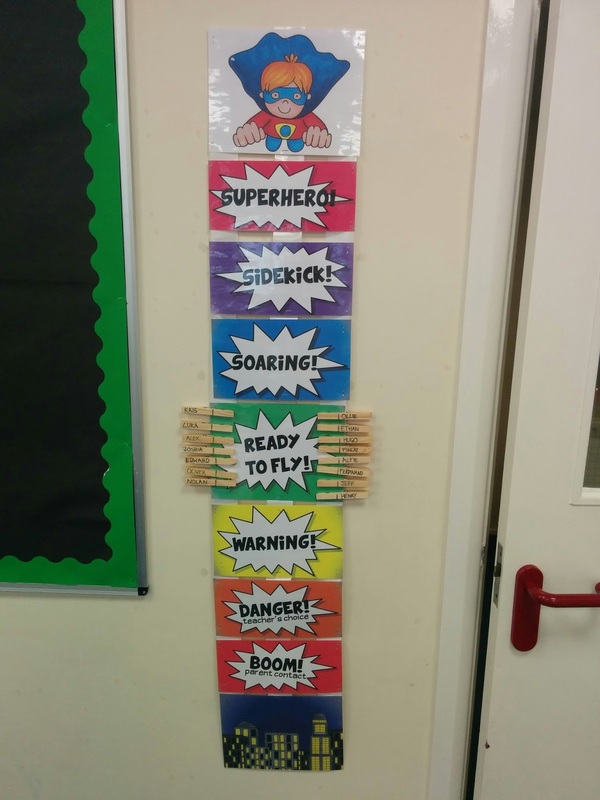 As you can see, everybody will start off on "Ready to Fly" and their peg can move up or down throughout the day. The children will receive a designated number of tokens for finishing the day in certain positions (1 token for Ready to Fly, 2 tokens for "Soaring" etc). The children will also be able to win super-hero themed prizes with their tokens! 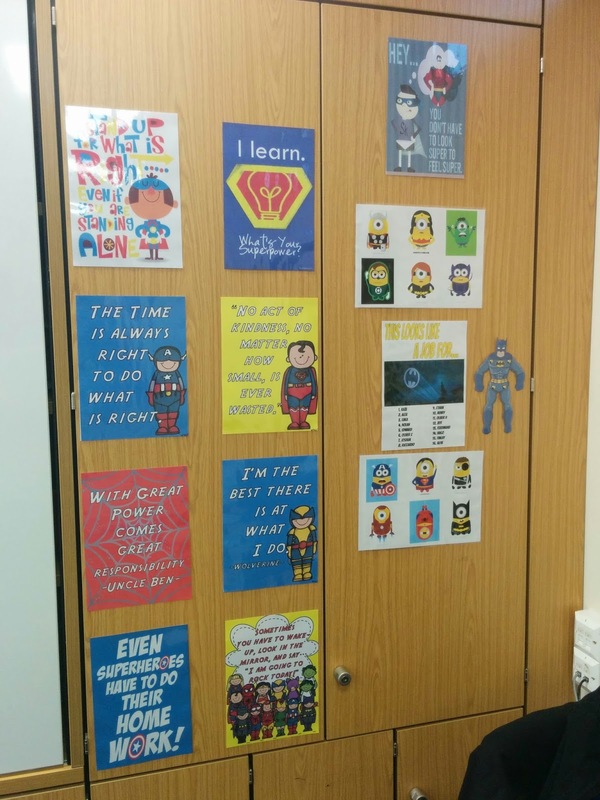 I think that just about sums up my new classroom. It was fun to go with an actual theme for a change but I am pleased that I didn't go too overboard with it. I've seen some rooms where the theme dominates everything and it's slightly overkill. I think this is a good balance of different concepts and I am very excited about teaching in it from September. I've not decided on a seating layout yet but I'm going to do everything I can to make space for a carpet area. After a wonderful two years at CCJS, I can confirm that I shall be beginning a new adventure at a boys' school in Kingston in September. I'm obviously not going to go into my reasons, but it had nothing to do with my incredible fellow teachers, my class or the brilliantly supportive parents. It was virtually impossible to remain in control of my emotions through the day and I apologise for sobbing again outside in the playground! It just hit me then that I was saying goodbye to these children and wouldn't have them in my classroom again. I'm not even sure how many (if any) people from my school even read this, but if they do, I'd first like to thank 4B. I count myself lucky to have had the privilege to teach such an amazing class of mature, insightful, kind and genuinely funny children. Even if I go onto teach for another 25 years or so, it's going to be quite a challenge to find a class that I enjoy teaching as much as I've enjoyed teaching you all. Secondly, a massive thank you goes to the teachers and staff at CCJS who I've made close friends with. It's like being a part of an additional family and I know that over the years we will all still meet up and reminisce. Lastly, a big thank you goes to the parents who have been so kind and supportive to me over the past couple of years. I've once again been completely overwhelmed by the generosity of my current parents. I have received heartfelt messages and incredibly thoughtful gifts. It is so humbling to feel appreciated and I will treasure everyone's words. It is with a very heavy heart that I say goodbye, but I do hope that you continue to check out the blog and see what I get up to at my new school. I'll post a couple more things over the holidays that I didn't manage to post during term-time, but after that I expect a period with no posts due to fitting in at my new school. 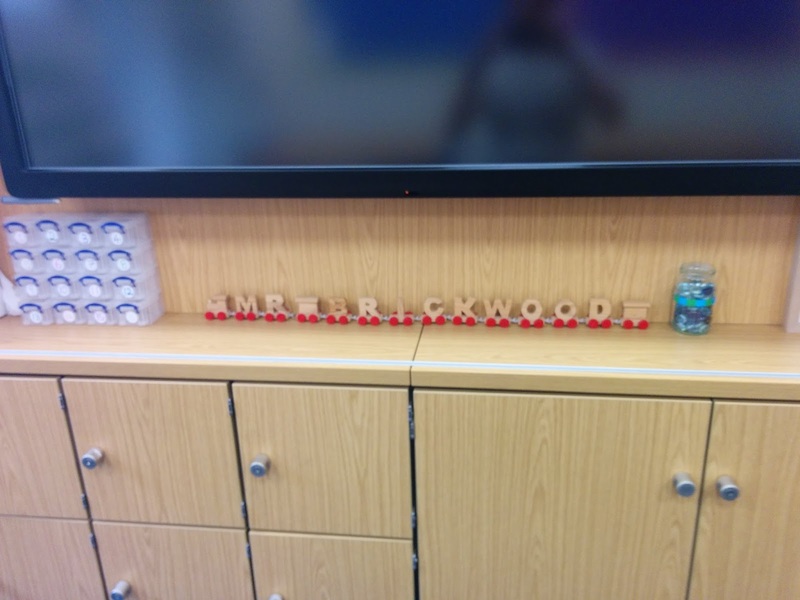 I shall leave a parting gift that the children absolutely loved during the staff leaving assembly. I spotted some fantastic videos on youtube of American schools doing staff lip-sync videos and wanted CCJS to go out with a bang this year. With a lot of work and determination, I managed to put together this clip with the help of my colleagues. Enjoy! Over the last 3 Fridays we've had 'Activity Afternoons' in school. 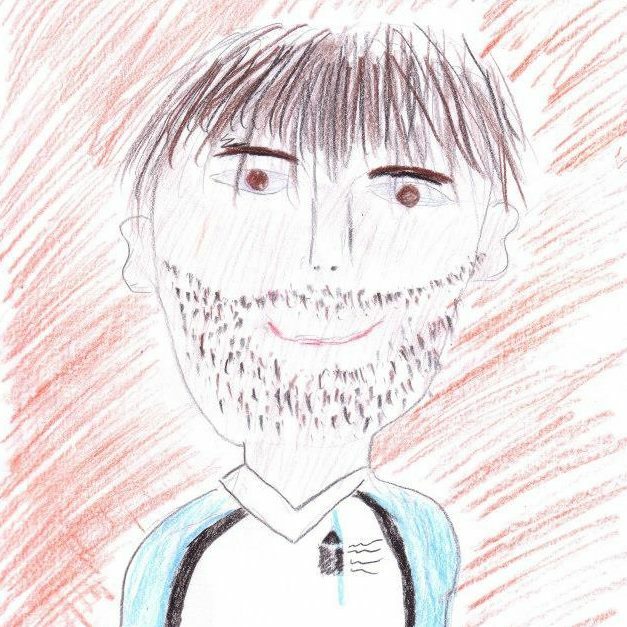 Being the art co-ordinator, my chosen activity was obviously art and I ended up having about 25 children plus 2-3 incredibly helpful parents. 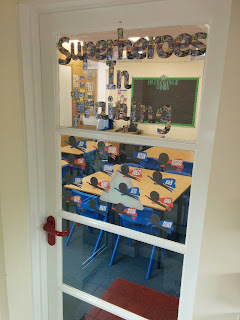 Last year, we made the large 3D papier-mache letters (seen here) but I went for a change this year and selected three smaller activities to complete. Firstly, we looked at these beautiful pictures by Rett Grayson. 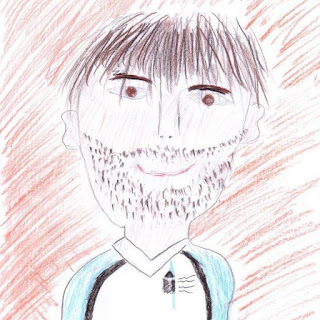 I talked through the process with the children and they thoroughly enjoyed themselves. We drew the grid first and drew the circle using a bowl as a stencil. They could then choose whether they wanted the tree or the background to be warm/cool colours. 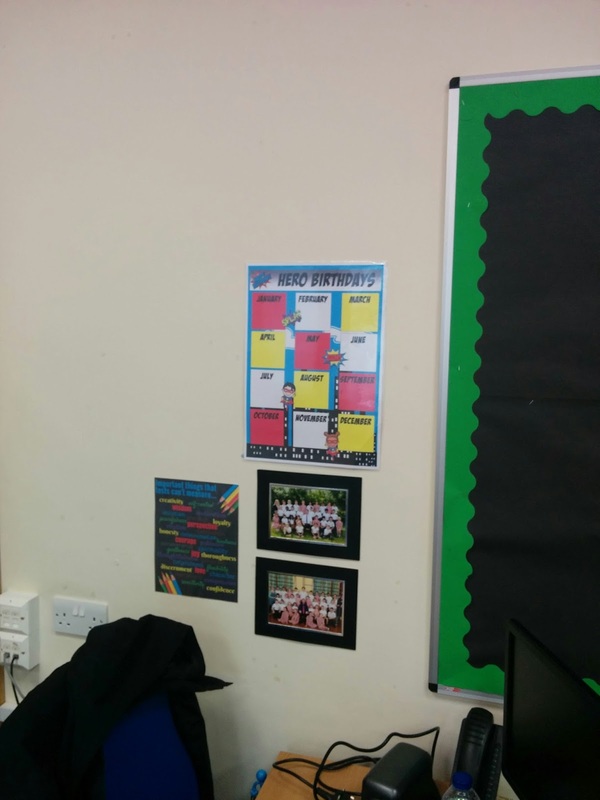 We created two-way pictures in the second lesson. I took pictures of the children making two different faces, one in front of a red background and one in front of a blue background. Depending on the angle, the picture would change between the two faces. Unfortunately, I can't post our results because it's all pictures of the class but they were very impressed and proud! Finally, we made corner bookmarks much like these that I've posted before. This time, we followed this excellent youtube tutorial. I preferred this because all it needed was square paper and some folding (no scissors!). 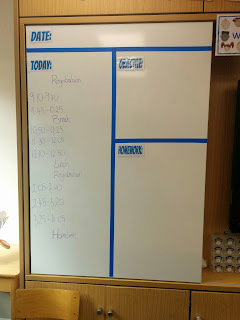 I put a help-sheet on each table with lots of examples of corner bookmarks. 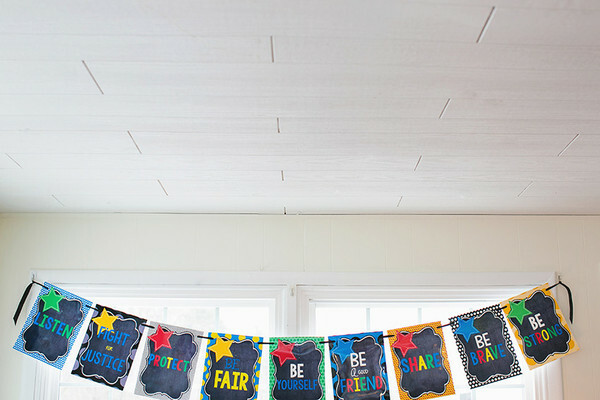 Children could use those as inspiration or come up with their own original idea. This was probably my favourite of the 3 projects because everyone was successful and couldn't wait to start reading!